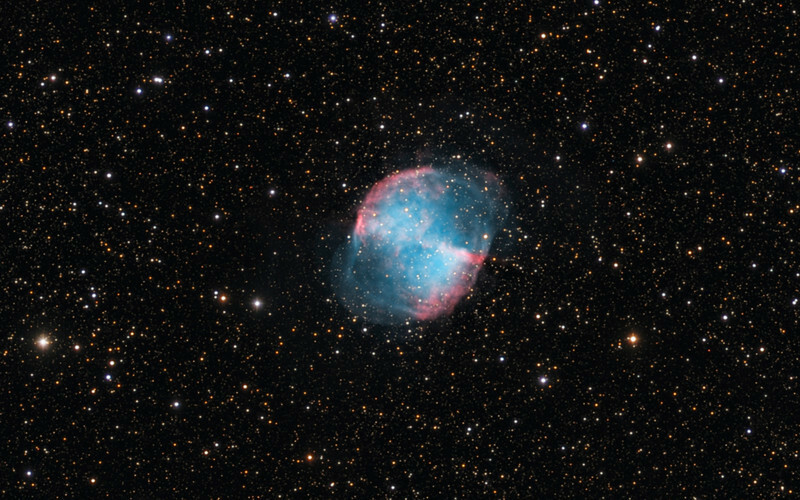 M27 The Dumbbell Nebula in LRGB with TEC140@f7 and ML8300 camera. Lum 1x1 12x10m, RGB each 2x2 9x5m. Taken by Lynn Hilborn, WhistleStop Obs, Grafton, Ontario on July 24, 2012.